Not many people know about this fact; Korean automaker, Hyundai, used to race in the World Rally Championships (WRC) from 2000 to 2003. The car used was a second generation Hyundai Accent. Two more revised versions of the car were later developed during that time but in the second half of 2003, Hyundai announced its withdrawal from the competition. 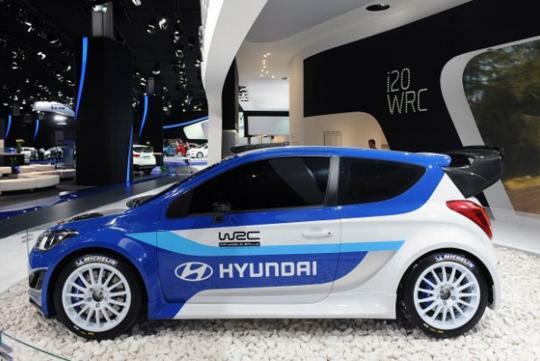 Today, Hyundai will make a comeback into the world of WRC by unveiling the i20 WRC rally car. Hyundai has transformed the subcompact car into a little monster that will challenge the big boys of the World Rally Championships. 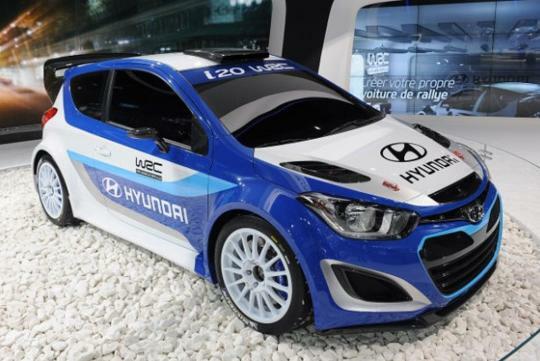 The Hyundai i20 WRC rally car was showcased at the recent Paris Motor Show and the display clearly indicates the automaker�s commitment towards one of the most exciting racing championships. Specifications for the car were not disclosed and the displayed vehicle is said to be just a mock-up car. In order for a car to meet regulations in the above mentioned competition, the car has to be a production model with a 1.6 litre engine. Usually, the engine will be turbocharged and horsepower is rated at around 300bhp. The car has to be all wheel drive and feature a fully sequential gearbox. Hyundai has yet to announce when the i20 WRC rally car will be competing in the championships and whether the FIA has allowed its official entry but it will most likely be granted. 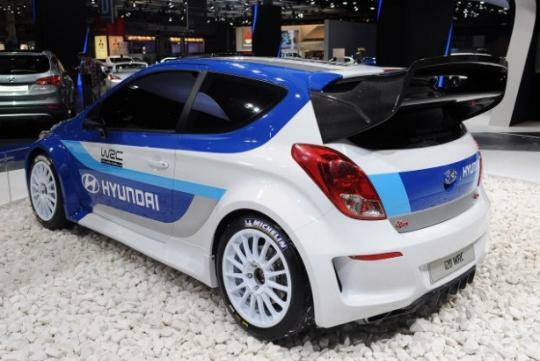 Hyundai�s comeback into the WRC will inject some excitement into the series as the series will also welcome two more manufacturers; Mini with its Countryman and Toyota with their Yaris.